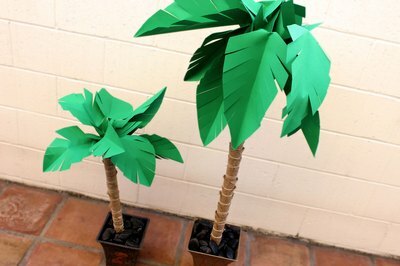 Paper palm trees are perfect for decorating a tropical themed party or classroom event. They’re fun to make, and a good project for kids to help with, too. You could even make them with a Sunday school class for Palm Sunday. And it's amazing how realistic these palm trees look. You may be tempted to spread out a beach towel and lay under them. 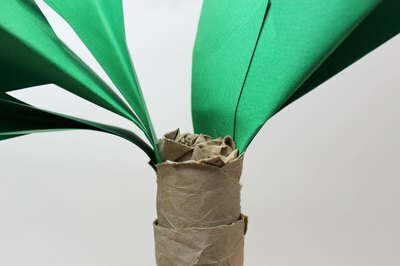 You’ll need cardboard tubes to make a paper palm tree. 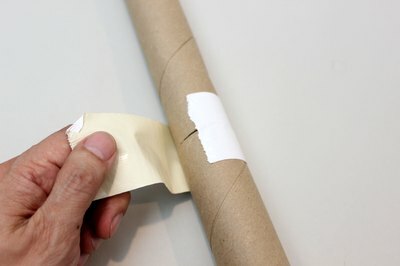 The extra long kind that come with wrapping paper work the best, but you can also tape together shorter tubes, such as paper towel tubes or even toilet paper tubes. Please see the last slide for an itemized list of tools and materials. Put enough cardboard tubes together, end to end, to make the trunk of the palm tree. Tape the ends of the cardboard tubes together with duck tape. 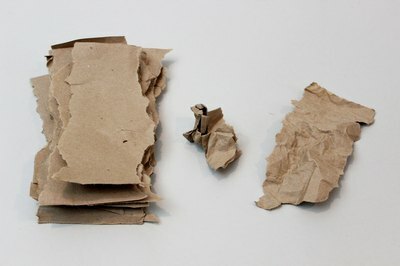 Tear pieces of brown paper wide enough to wrap around the tubes with the edges overlapping slightly. 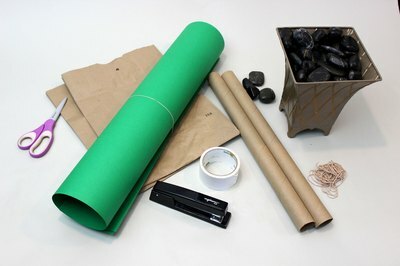 (You may want to cut apart paper grocery bags to help make your paper palm tree a “green” project by reusing materials.) 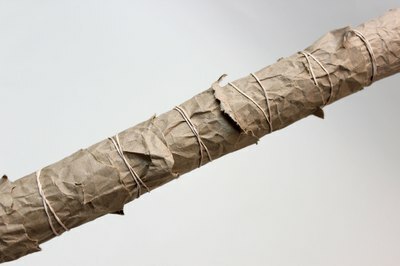 Then squeeze the pieces of brown paper to wrinkle them. The wrinkled brown paper will give it a more real look. Wrap pieces of brown paper around the tubes, holding them in place with rubber bands, and overlapping them slightly so that the cardboard tubes are completely covered. The rubber bands also do double duty as the rings on the tree trunk. Peel back the brown paper at random points to get the look of peeling bark. 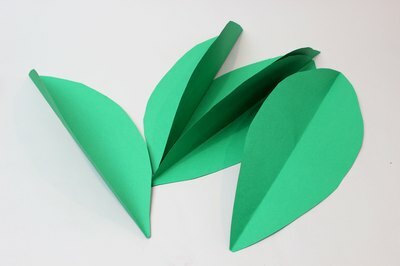 Cut about eight large leaf shapes from green construction paper. Fold the leaves in half lengthwise. 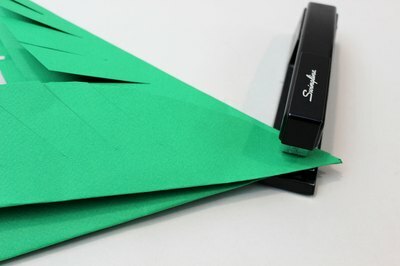 Crease the leaves and then unfold them. 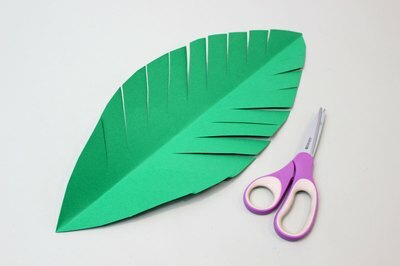 Cut deep slits in the sides of the leaves to make them look like palm fronds, without cutting all the way through the leaves. Take four of the eight leaves and face them in different directions, and staple the leaves together at the base. Repeat with the other four leaves. Place the two stapled leaf sections in the top of the trunk, and secure them by squeezing a balled up piece of brown paper between them so they don’t fall out. Unfold and spread the leaves so they fall in different directions around the trunk. 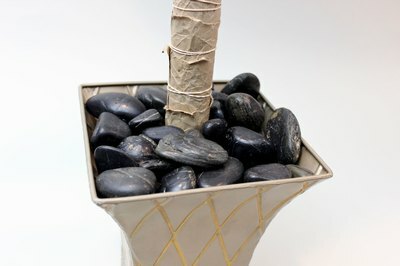 To make the paper palm tree stand up, fill a bucket or large plant container with sand or pebbles. Insert the bottom of the cardboard trunk into the container.